Time for some art. 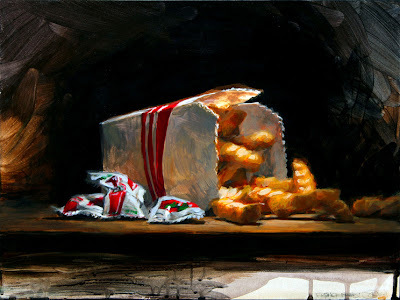 I haven't shared anything from Tiny Showcase in a while, cause nothing really took my fancy, but I really like this work by Shawn Kenny entitled 'French Fries'. Limited edition print of 100. USD $20 unframed, $125 framed.